How to create Variable Products in WooCommerce? For this particular use, create a few Variable Products and assign registered attributes to those products. Thankfully there is already a great guide on how you can do this — “How to Create Variable Products in WooCommerce?”. What’s important here, is that you use the registered attributes, so I’m assuming that you’ve followed the guide thoroughly and navigated to Products>Attributes, created an attribute and terms, then just assigned those to your variations and voilà. If you’re doing this for the first time, you might find it confusing, but once you get used to it, it’ll be pretty simple and repetitive. What customers see now, if we take a look at our product, is a select box with options. Variable products can have their own thumbnail or price, which is pretty handy. What’s a bit undeveloped are the select boxes themselves. Let’s style those! 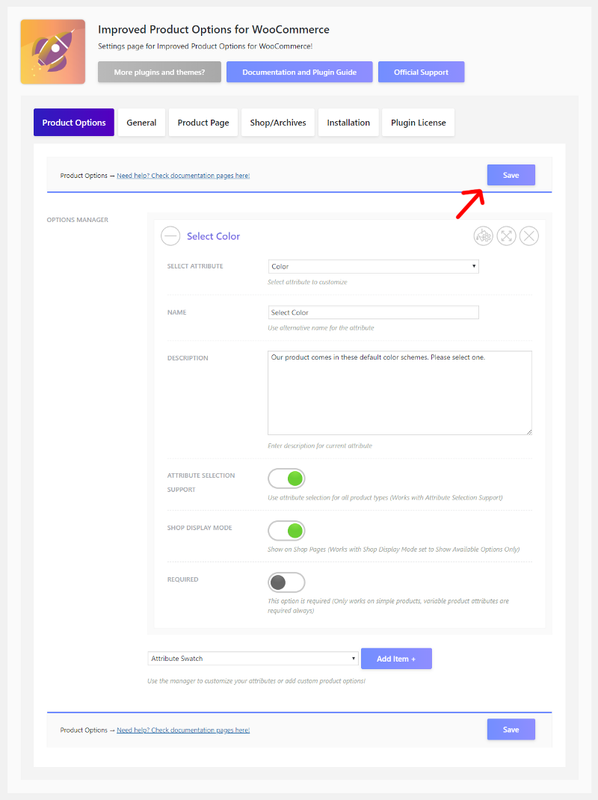 WooCommerce Variable Product with a default select box for choosing the product options. 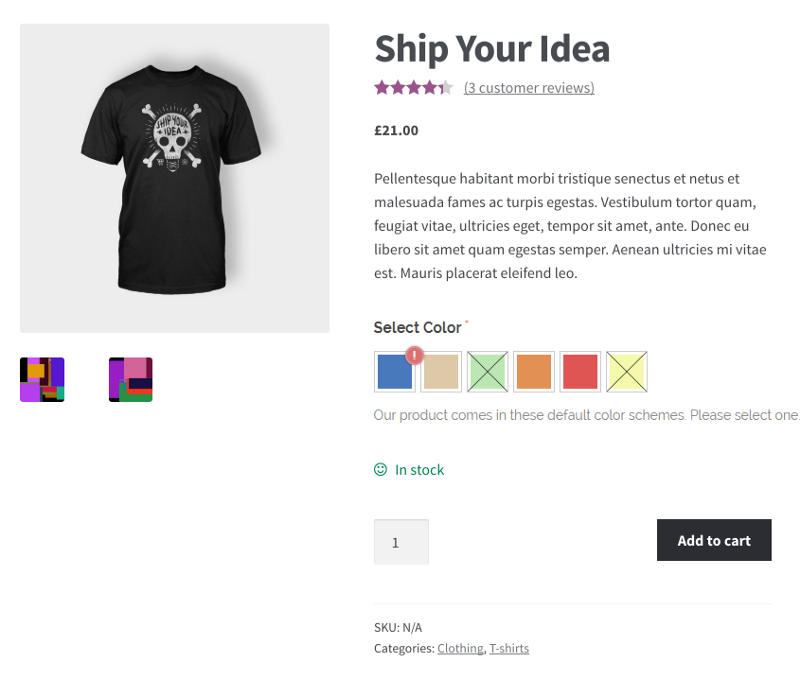 How to style product swatches in WooCommerce? Select Attribute Color that you’ve already made. Click on the Paint/Cog icon and Terms Manager will appear. Now, style the attribute terms! Choose style Color and set the term colors. Choose Type Color and style the terms! Click X to go back. Click X to close the Terms Manager. Then click Save! See how easy that was. 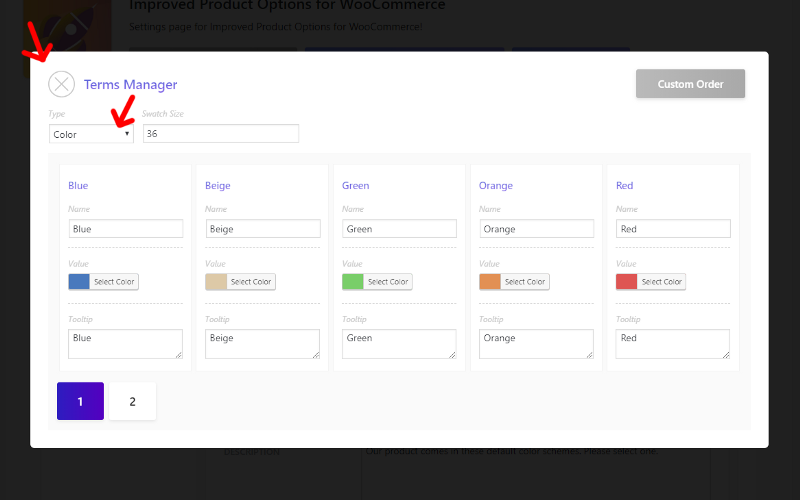 Couple of clicks and we’ve styled our attribute select box into a color swatch option! These are styled globally, so any product that uses this particular attribute will get the swatches in product pages. Let’s see how that looks. 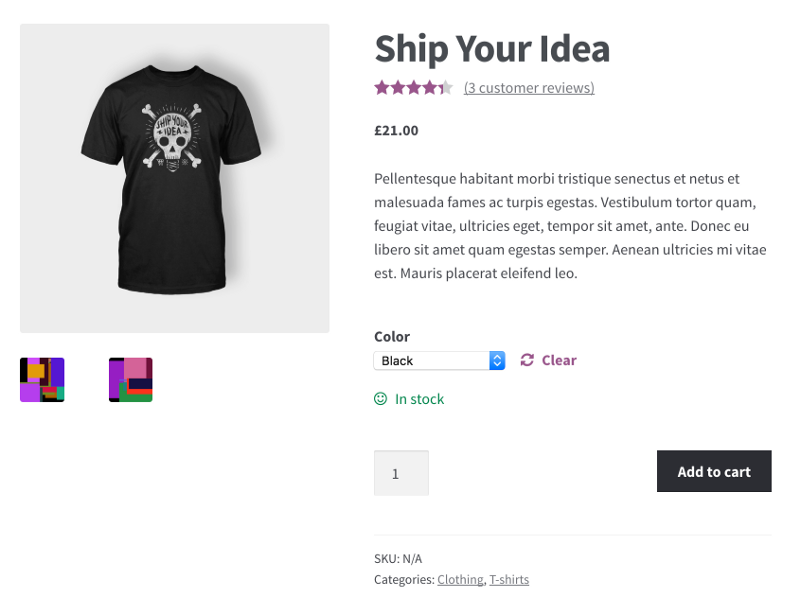 WooCommerce Variable Product with active and set Improved Product Options plugin. 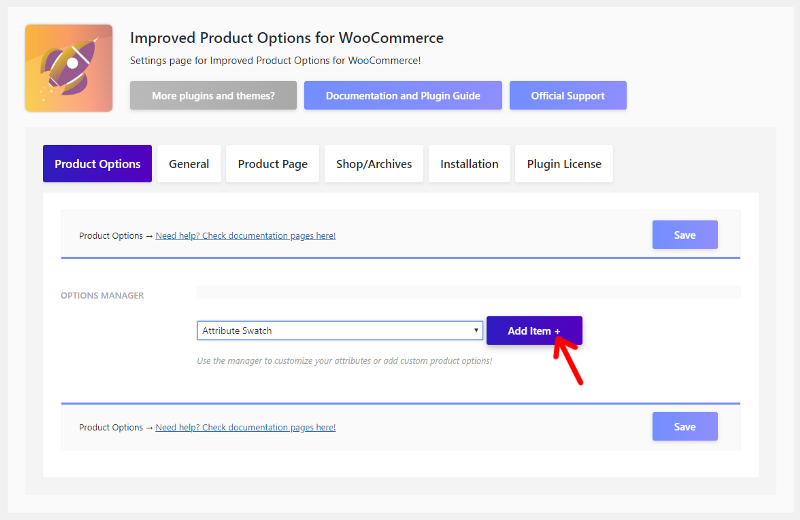 Get the Improved Product Options for WooCommerce! ← Previous Previous post: We’ve changed our support policy! Here’s the official post about it! Next → Next post: WooCommerce Simple Products attribute selection and extra options? Is it possible? Great blog, You have summed up all the points very efficiently. Thank you for sharing. I have an issue. The variation is repeated twice in the procuct. Can you help me, please? Hi, yes of course. Use the community forum here https://mihajlovicnenad.com/forum Thanks!